While Square is the hot mobile payment startup, Starbucks (s sbux) is no slouch, having recorded 60 million mobile transactions in the last year and a half with its smartphone app or nearly 2 percent of all transactions. 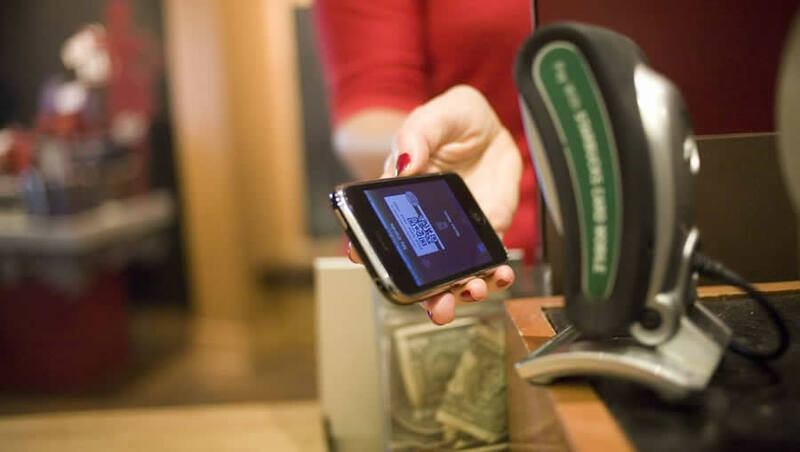 It now has more than a million people a week paying with the Starbucks app. So why is Starbucks partnering with Square? It’s because Starbucks has seen the power of mobile payments first hand and knows it has the potential to be huge across all kinds of businesses, big and small. But it wasn’t prepared to expand its barcode-based payments system to other merchants as I and other observers have suggested. Adam Brotman, Starbucks’ chief digital officer told me after a morning press conference highlighting the deal that it made more sense for Starbucks to team with someone already in the larger mobile payment space than expand its current efforts. So it’s placing a bet on Square to be a leader in the form of a $25 million investment at a reported $3.25 billion valuation. At first glance, the immediate pay off for Starbucks is hard to spot. By this holiday season, users of the Pay with Square app will soon be able to display a 2-D barcode that can be read by Starbucks’ scanners at 7,000 locations in the U.S. The really unique and engaging aspects of Pay with Square, such as using personal profiles and geo-fencing to initiate payments, won’t be available when the partnership begins this fall. That’s because implementing those features would involve a huge outlay in infrastructure for Starbucks, which would likely have to buy iPads (s aapl) or some other hardware to conduct transactions with those features. Starbucks also won’t be utilizing Square’s new loyalty features or its analytics, because it already has its own tools. And the potential increase in payments via Pay with Square is debatable. Square hasn’t disclosed how many people have downloaded its Pay with Square app and said 75,000 merchants, mostly small shops, are able to accept Pay with Square payments. People are using Pay with Square but it’s likely a much smaller number than the people paying with credit cards at the 2 million merchants who use Square’s iconic card swipe reader. What Starbucks does get is some undisclosed savings in interchange fees by using Square as its processor, though it’s unclear how meaningful that it is. Square currently charges a transaction fee of 2.75 percent on card purchases to merchants though the details of the Starbucks deal have not been disclosed. And Starbucks gets placement for its stores in the Pay with Square directory. The benefits up front for Square, however, are huge. It gets a big endorsement from Starbucks, which will work to highlight Square in its stores. That can help as Square looks to convince more small, medium and larger businesses to adopt Pay with Square. And it will take over the credit and debit card processing for Starbucks, giving Square an enormous boost in transaction volume. Starbucks generated $3.3 billion in revenue in the third quarter, though its unclear how much was from credit and debit card transactions. Previously, Square was on pace to do $6 billion annually in transaction volume, but that should go way up. The Square merchant directory will also appear on the Starbucks Digital Network inside Starbucks locations and will eventually move to the Starbucks mobile app. 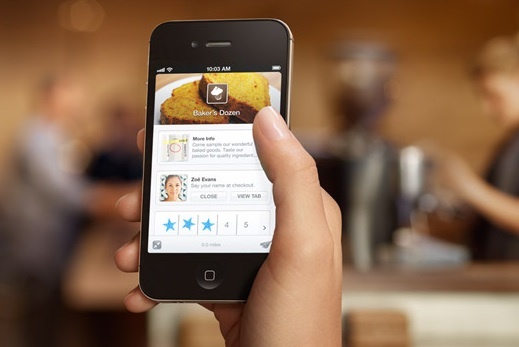 So this will be a big boost for Square, raising its stature above a lot of other competitors. That’s important considering all the companies lining up to compete with Square, such as big players such as PayPal (s ebay), VeriFone (s pay), Intuit (s intu) and NCR (s ncr). But it’s going to be big for mobile payments overall, putting a big seal of approval on the technology by a trusted name. Will other big retailers follow? But I do wonder how fast other medium and large retailers who aren’t investing in Square will adopt Pay with Square. Most have their own hardware and aren’t equipped with the kind of 2-D scanners necessary to work with the new Pay with Square implementation. And many are also going to balk at the cost of upgrading their infrastructure to handle the full Pay with Square experience. Pay with Square is more attractive to people starting a new business or someone starting small. Ultimately, this is a pretty strategic and arguably low-risk bet by Starbucks. They spend $25 millions and get in on one of the hottest startups around, a company that has the potential to really advance mobile payments. And Starbucks can learn from Square’s attention to customers and its attempts to make the payment technology “fade away,” as Dorsey likes to say. Schultz said every payment company over the last six months has tried to sell Starbucks on the merits of adopting their system. He chose instead to reach out to Square because of Square’s focus on the customer experience. A quarter of Starbucks transactions now happen via Starbucks cards with a growing percentage of that quickly shifting to mobile, said Schultz. “I can’t think of another thing we’ve introduced in the last 40 years that has had this adoption,” Schultz said of its mobile payments. If the uptake on mobile payments outside of Starbucks follows what has happened inside Starbucks, Schultz’s bet could pay off big time. I would have expected Starbucks to be one of the launch partners for the iOS6 Passbook feature. This makes me wonder if they will skip that altogether – a bit of a blow for Apple.